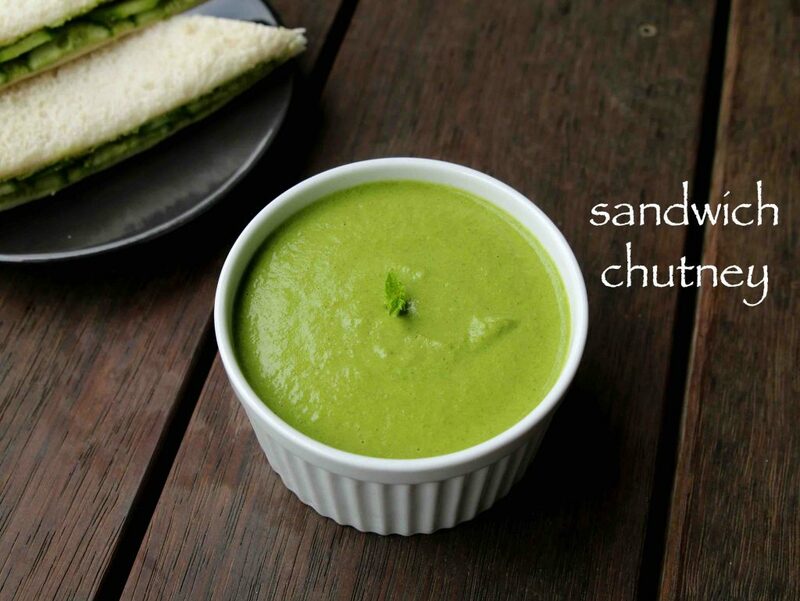 sandwich chutney recipe | green chutney for sandwich | mint chutney for sandwich with detailed photo and video recipe. 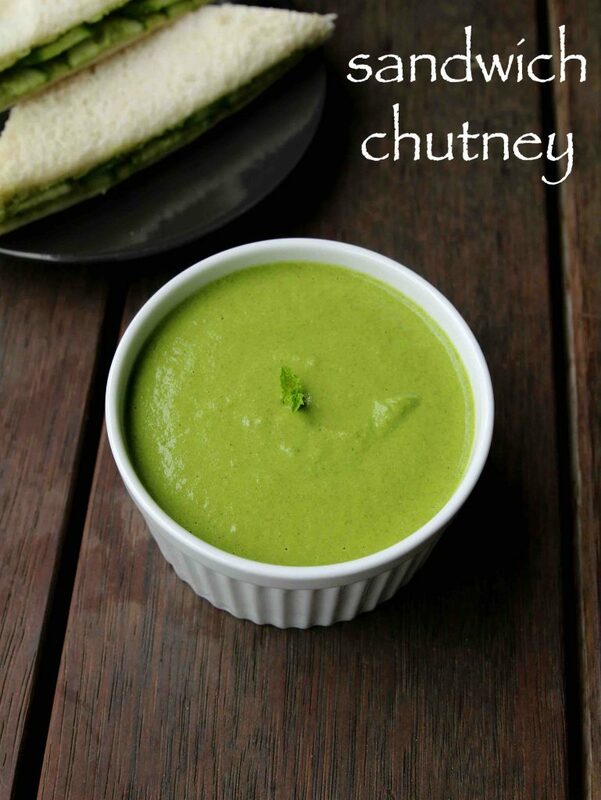 a green coloured spiced chutney or condiment recipe which is mainly used as a spread for sandwich recipes. most commonly it is also known as bombay sandwich chutney recipe and is mainly prepared with the combination of mint and coriander leaves with chaat masala. sandwich chutney recipe | green chutney for sandwich | mint chutney for sandwich with step by step photo and video recipe. 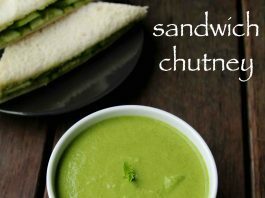 typically the street food vendors of mumbai, prepare this lip smacking chutney recipe for bombay sandwich recipe. however these days the chutney recipe has been commercialised and is available as a packaged condiment in many retail store. moreover it is multipurpose chutney and can be used as a dip for various snacks. i have already shared the street side special sandwich i.e bombay sandwich recipe and also the grilled one too. in both the recipe, i have used the sandwich masala powder with green chutney as a spread. but this chutney recipe is combination of both and can be used directly to prepare bombay sandwich recipe without any other spice powder. in addition this chutney can be used for any other form of sandwich recipe, perhaps only tomatoes or cucumbers or even combination of both. the other best part of sandwich chutney recipe is its shelf life and can be stored in fridge for minimum of 3-4 months. i even deep freeze the chutney by converting it to ice cubes and store it in freezer and it lasts more than 6-8 months. 1 cube of frozen green chutney should be more than sufficient to prepare 2-3 sandwiches at a time. while there isn’t any complicated steps in this recipe of sandwich chutney, yet some tips, recommendations and serving suggestions. 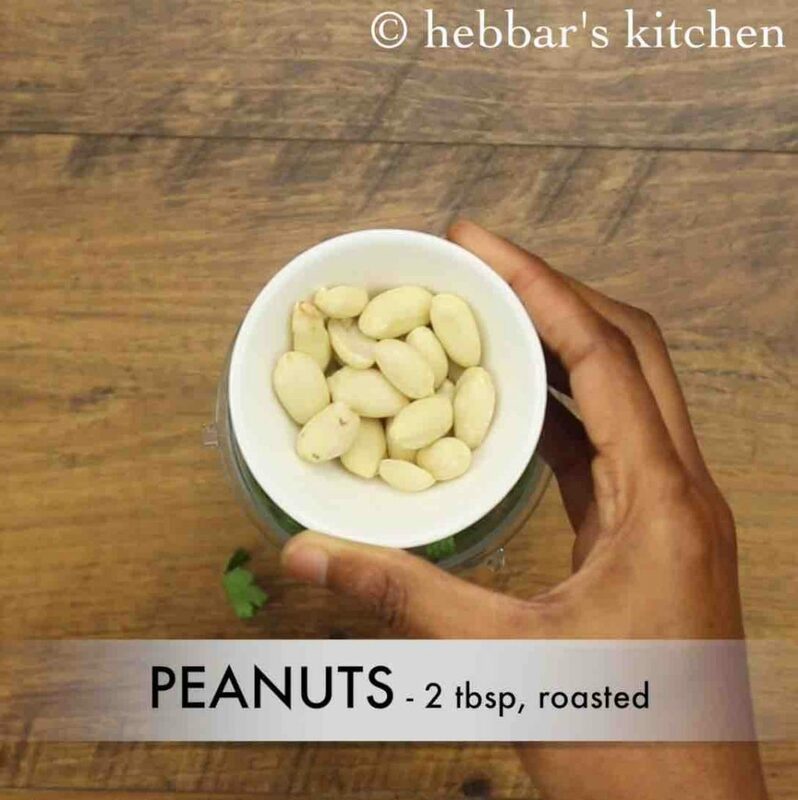 firstly, in this recipe i have used peanuts or groundnuts as thickening agent with fresh coriander and mint leaves. alternatively you can use roasted bengal gram or even chana dal for the same purpose. secondly, i have used the same ratio or ½:1 ratio of mint and coriander leaves in this recipe. but you can easily experiment with the proportion and can vary as per your choice and preference. lastly, if you wish to have a fresh green colour to your chutney then you can add fresh palak leaves too while grounding. adding blanched palak leaves would even enhance the colour of chutney to further green. 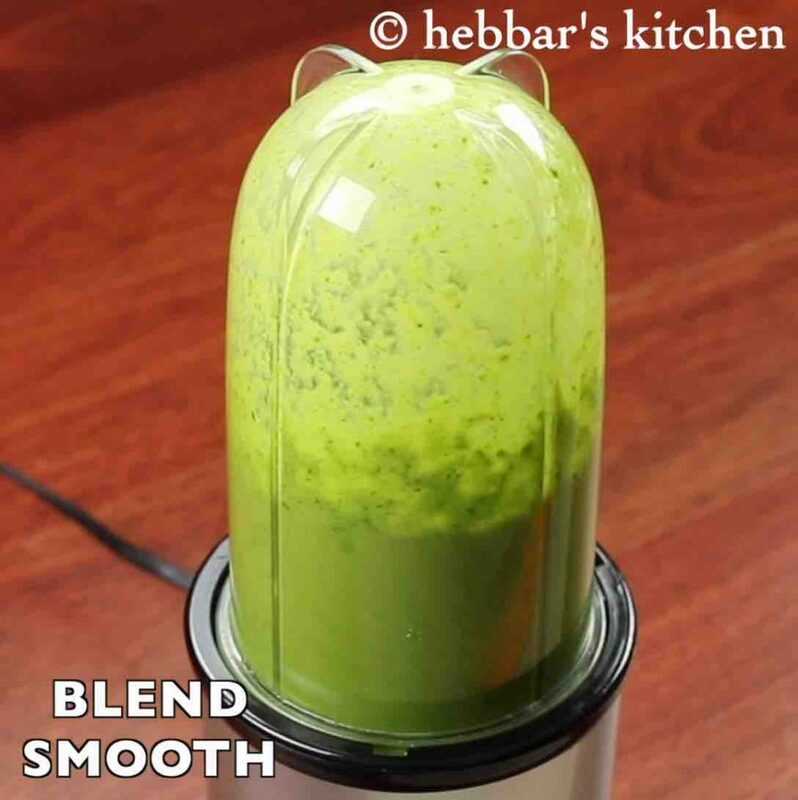 firstly, in a small blender take 1 cup coriander, ½ cup mint, 2 tbsp peanuts, 1 inch ginger, 3 clove garlic, 3 green chilli and 2 tbsp lemon. 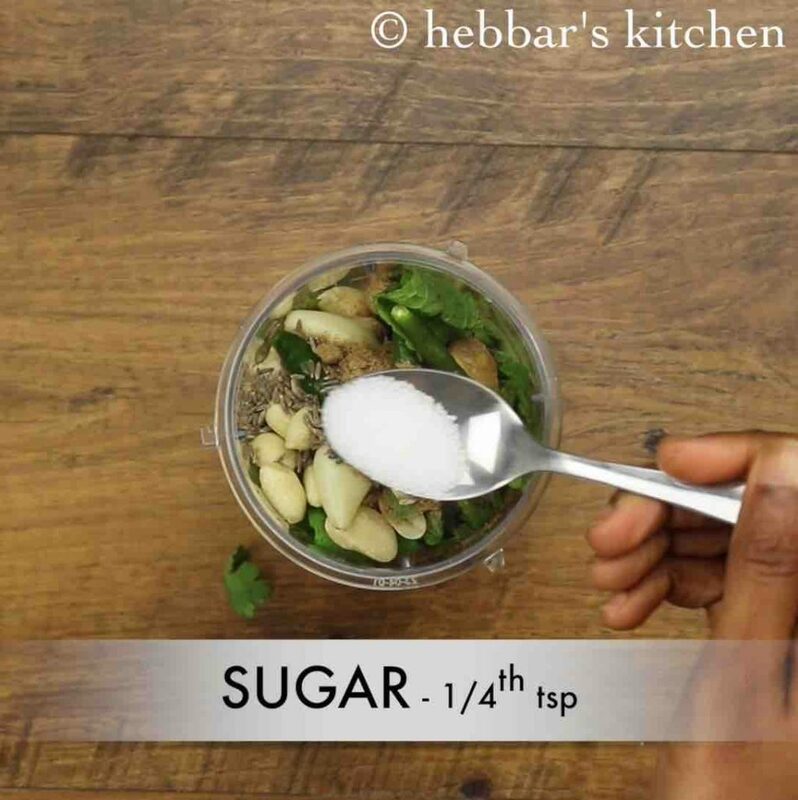 also add ½ tsp jeera, ½ tsp chaat masala, ¼ tsp sugar and ¼ tsp salt. blend to smooth paste adding ¼ cup water or as required. finally, store sandwich chutney in a jar or prepare sandwich placing cucumber. firstly, adding mint or coriander is optional. however, it enhances the flavour of chutney. also, adjust the amount of green chilli depending on spice level. additionally, add coconut or peanut for creamy texture. finally, sandwich chutney recipe saves good for a 3-4 months when refrigerated. Made it as per instructions, came excellent! Thanks!